Situated in a tranquil suburb of Klerksdorp, St. Andrews offers you nine comfortable en-suite rooms, a swimming pool. We also boast comfortable conference facilities and stylish weddings.Enjoy a leisurely meal overlooking the lush “koppies” of Klerksdorp before setting out for an activity-filled day at one of the nearby golf courses or shopping at a nearby shopping center. If that does not interest you, you can soak up the sun next to our beautiful pool area. Conferences take on a new meaning in this beautiful, luxury and warm decorated conference room. Comfort and style blend perfectly to compliment the most sophisticated of corporate request. 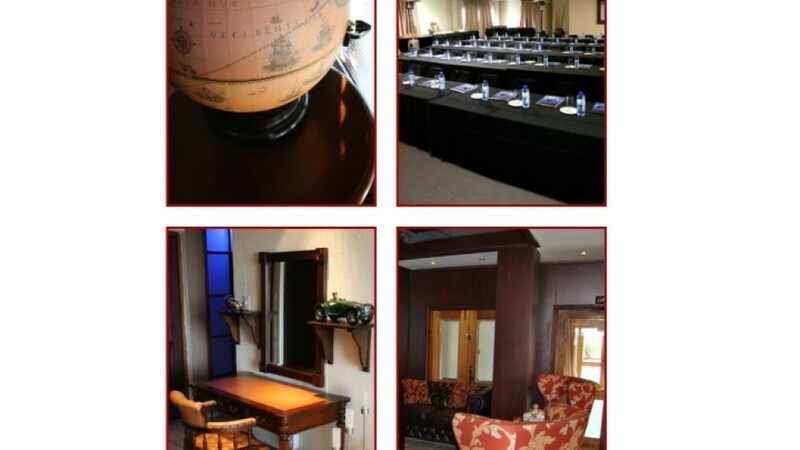 Profit from successful strategic planning sessions, complemented by tea and lunch breaks served in the conference room overlooking the lush “koppies” of Klerksdorp.